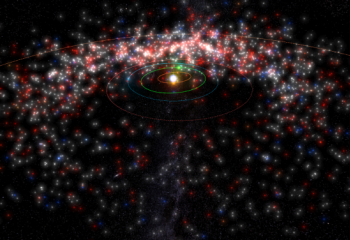 In particular, Nathan identifies major flaws in the methods used by the NASA-funded NEOWISE project—a mission that analyzed data on some 164,000 asteroids observed by the WISE space telescope—and demonstrates that many of the asteroid diameter estimates and other results published by the project are irreproducible and significantly less accurate than claimed. The new study is the first independent analysis to critically examine those results and the scientific methods used by the NEOWISE project, which was led by a team at the Caltech Jet Propulsion Lab. The Icarus article is an update of work Nathan published in preprint form in May 2016 on arXiv.org, and his latest findings have drawn coverage in the New York Times. Learn more background on the research and why it matters on Medium and in Retraction Watch, or read the full study.